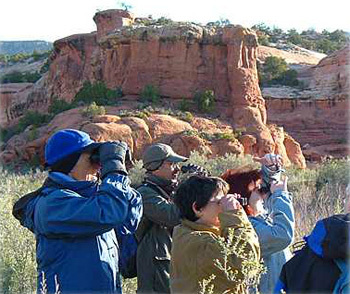 The Ute Mountain Mesa Verde Birding Festival is the major fundraiser for the Cortez Cultural Center. All proceeds benefit the Center. A registration fee is required for all tours except as noted. Full registration includes keynote banquet and all lectures. Daily registration includes that day's lectures. Full registration is required in order to qualify for the free early bird t-shirt. Unless otherwise noted, tours will return to the Center at approximately 3:00 pm. Van transportation is provided except as noted. Tour size is generally 13 or less. Cancellations considered on a case by case basis up to 21 days prior to start of Festival. All cancellations subject to a processing fee. Availability of restrooms depends on the tour. Nearly all guides scout out restroom locations as well as bird species. Some tours are in parks or other facilities that have established restrooms. Some have outhouses. Others, the only option are bushes. Usually the leader will mention the restroom plan at the beginning of the tour. All tours depart from and return to the Cortez Cultural Center. Tour times listed are the DEPARTURE time. Please arrive 15 minutes prior. 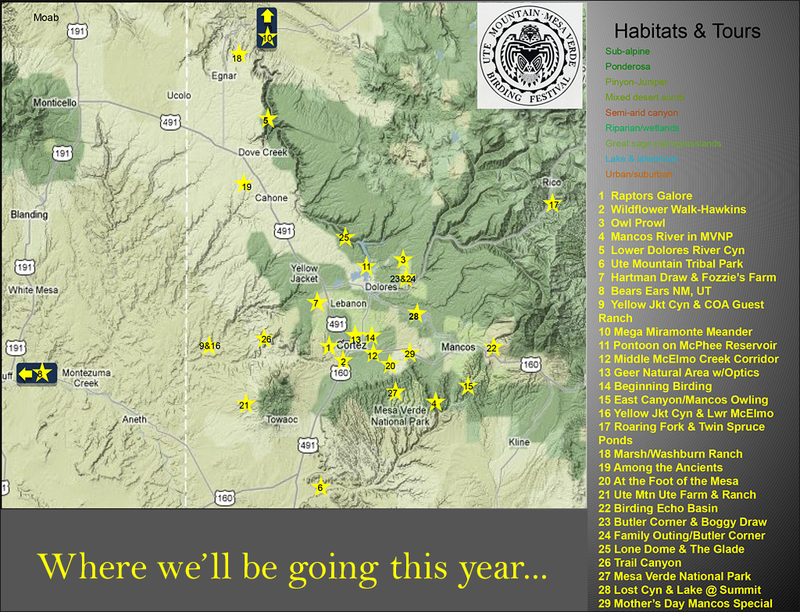 Connect with the Birding Festival on Facebook!